Sera Je School Association, which is a legally registered Society as a charitable cultural and educational society, manages Sera Je Secondary School. Society Registration No. 111/85-86. Chartered Accountants audit its books of accounts and reports sent to central and state government offices in Delhi and Mysore. The School Also possess Foreign Contribution Registration Certificate from Ministry of Home Affairs, Government of India under which it is entitled to receive foreign contribution from any country. After strenuous and sustained efforts, The State Government accorded recognition to Sera Je School in 1996, which was the precondition to gaining affiliation with Central Board of Secondary Education, New Delhi. Sera Je School finally succeeded in 1997 and the CBSE formally granted affiliation status to the School. Since then, SJSS became CBSE affiliated School and have been strictly following the syllabus and courses of studies and examinations per C.B.S.E guideline and policy. Sera Jey School was accredited by the State Govt. Education Department in 1986. In October 1997 it gained affiliation to Central Board of Secondary Education, New Delhi. The first batch of class X sat for CBSE conducted All India Secondary School Examination in the year 1998. With that our Grade 10 students began sit for CBSE conducted All India Secondary School Examinations. This is a historic achievement by a Tibetan Monastic Educational Institution anywhere in the world. It is the first of its kind in the history of Tibetan Monastic Educational system. So far many batches of Class X students successfully appeared for the CBSE controlled Board Examinations. In the given situation, our students scored impressive marks plus the honor of attaining distinction in many subjects. Having first began as an open air Tibetan calligraphy class; by 1980s the School had its first building and classrooms. In the ensuing years the number of students increased so much that there was an urgent need for building additional classrooms, staff quarters, dining hall and a proper office. In 1986, with generous funds made available by Luca Corona family of Italy ( the chief benefactor of the School during the 70s and 80s), another new School building was built that served as administrative office, staff quarters, science laboratory, students Dining Hall and Classrooms for senior students. Classes have been up graded to Ten. By 1997, the existing School building has become too small to accommodate overcrowded classrooms. The number of students surpassed six hundred mark due to a sudden surge in new comers from Tibet in the preceding years. In November, 2000, with necessary funds granted by Geneva based Swiss Aid to Tibetans ‘Les amis du Tibet’, together with many Swiss sponsors, and further augmented by funds pooled from other European and American organizations and individual sponsors, another new School Building was successfully built and inaugurated by Madam Josiane Tallon, Head of the Les amis du Tibet, Geneva. This building currently houses both junior and senior Classes, Science Laboratory, Computer Classroom, Staff room, Main Administrative Block comprising of Principal’s office, Headmaster’s room, General Section, Accounts Section. It has two stories with a spacious ground in the center where Morning Assembly is held. SJSS is akin to a residential School. Our students live in various ‘Khangtsens’, monks’ hostels with their guardian Teachers who are directly responsible for health and education of the novices given under their care. School provides with three times meals, books, textbooks, and robes. They follow a strict and tied daily routine schedule starting with Morning Prayer, scripture memorization, breakfast followed by morning classes. After lunch, afternoon classes held till 5.00PM. They have supper after the School is over. In the evening they say prayers and memorize scriptures till 8.00 PM in the School. Back in the Hostel , they do Home-work and self-study till late night and go to bed. 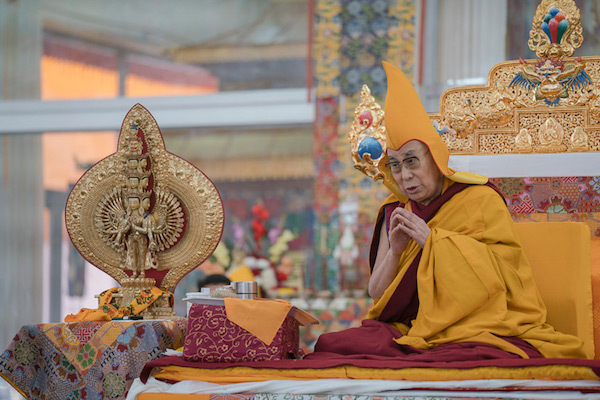 Sixteen Senior Geshes from the main Monastery serve as the scripture masters for the students to ensure proper training and preparation in Monastic grounding and to lay down firm foundation in basic Buddhist dialectics and philosophy. Teaching Faculty members comprised of qualified trained Teachers holding University and with many having rich and extensive teaching experience. Administrative staff also comprised of qualified and experienced in their fields. Sera Je Secondary School (SJSS) is a Registered Charitable Educational and Cultural Institution, Duly recognized by Karnataka State Government and Affiliated to C.B.S.E. New Delhi since 1997. School Students corner: School Canteen and Stationary Shop. System of Education: As per Central Board of Secondary Education (Ministry of Human Resources Development) Government of India, New Delhi. Tibetan Language and Literature and Foundational Dialectics Courses prescribed by Academic Council of the School. Educational Status and Recognition: Recognized by Karnataka State Education Department in 1996. Syllabus, Course of studies: Syllabus and Courses strictly as per C.B.S.E. pattern and system, and N.C.E.R.T Text Books for all subjects and Classes. Subjects taught: Tibetan, English, Maths, Science, Social Science, Hindi, Dialectic, computer, Arts and calligraphy besides five major courses of Buddhist Philosophy.